Shark attack. Rough weather. Intermittent technology. These are just a few of the challenges of shipboard research on the R/V Falkor. Yet the science continues with unbelievable tenacity on the 28-day Sea to Space Particle Investigation. When Melissa Omand’s sediment traps, deployed to measure sinking particles, were returned from the sea bent and broken at the end of the first 4-day sampling site, she was briefly discouraged. She wondered whether her experiment to collect data with an iPhone was jeopardizing established collection methods. The iPhone housing is big and heavy and could have swung into the other three sediment-collecting tubes and smashed them. Then one of the line handlers showed me a shard that got stuck in his finger—later revealed under the microscope of the resident taxonomist as part of a shark’s tooth and confirmed by shark experts ashore. Shark bite marks were also noticed on the more rugged, indefatigable wire walker. Several ship’s crew volunteered their time and talent to rebuild the sediment traps stronger and better. After that, the refurbished sediment traps survived deployment and collected stunning data at the next station. As those on the U.S. West Coast are well aware, the past month has seen a constant procession of low pressure weather systems across the Pacific. 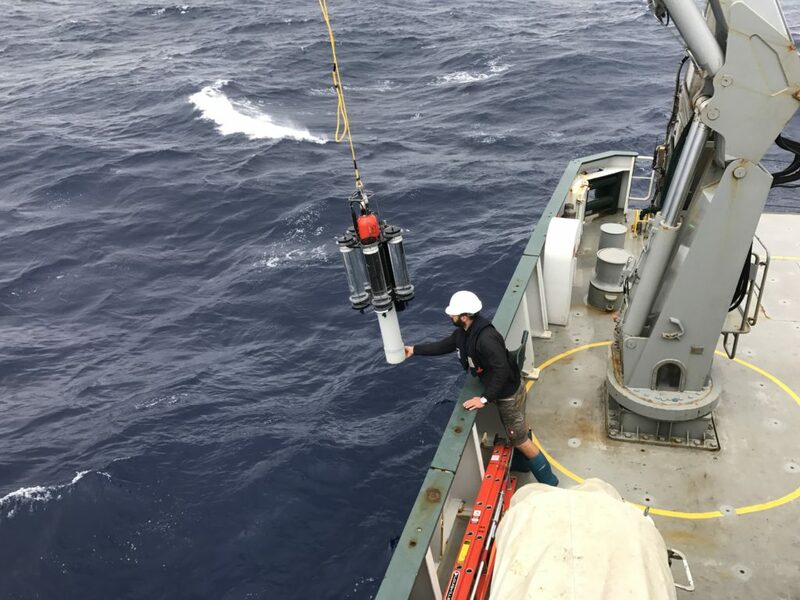 One of the main goals of this cruise is to collect data that can later be used to tune ocean color satellite measurements. Rough weather at sea is more than an inconvenience: it makes it unsafe to use the light sensor we put in the water to compare to satellite measurements. Persistent clouds obscure satellite coverage of our area—making match-ups between in-water measurements and satellite data impossible anyway. To avoid the bad weather and high seas we would have encountered on our original planned cruise track nearly straight north, the ship’s captain worked closely with the chief scientist to revise our plans and head east. As we started work at our second site, however, we lost all internet. The ship’s IT coordinator found a broken satellite antenna that caused the internet not to work during certain ship headings. Again, the captain worked closely with the science party to modify the course track for on-site sampling that would also permit internet connectivity. In spite of everyone’s best attempts to maximize our bandwidth, we still experienced repeated drop-outs during the NASA Earth Facebook live event we conducted from the ship on Feb 6. It felt like the movie Groundhog Day, with repeated re-introductions as we reconnected to the event again and again. 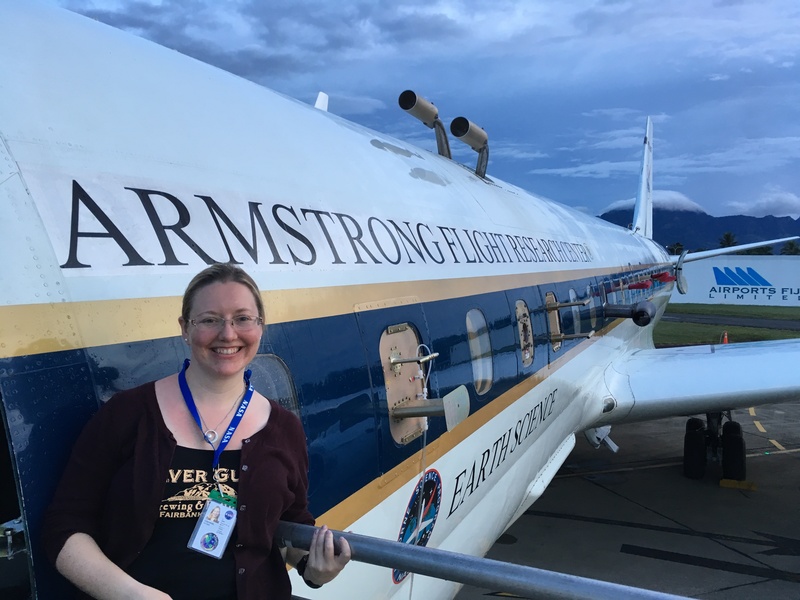 Thankfully, we had help from NASA JPL colleagues ashore and an engaged audience who remained online and sent excellent questions and follow-up questions afterward. 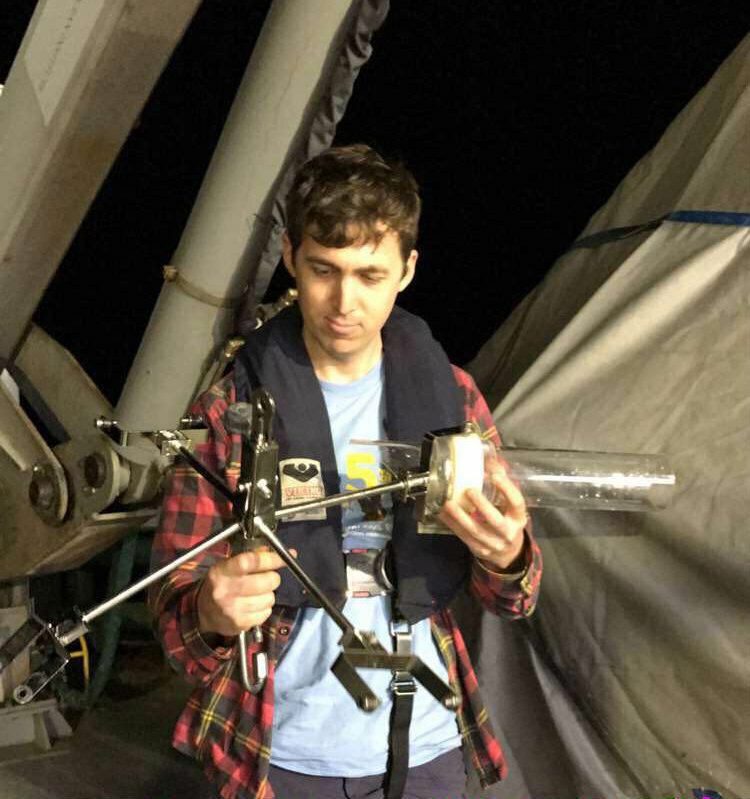 Another challenge was finding and recovering the sediment traps from the second sampling site as it was issuing a weak and intermittent GPS signal between large waves. All hands on deck kept look-out during the wind and rain until its little orange top was spotted. The crew skillfully maneuvered the ship along-side and caught the instrument’s yellow handling line to lift it back aboard with a crane. Over and over again during this expedition, we experience challenges that are solved through teamwork between the science party and ship’s crew. The novel data being collected here would not be possible without this persistence and collaboration. Participating in this field campaign to improve the quality of ocean color satellite measurements are five of us from NASA Goddard’s Ocean Color group, plus NASA- and NSF-funded scientists from other organizations. 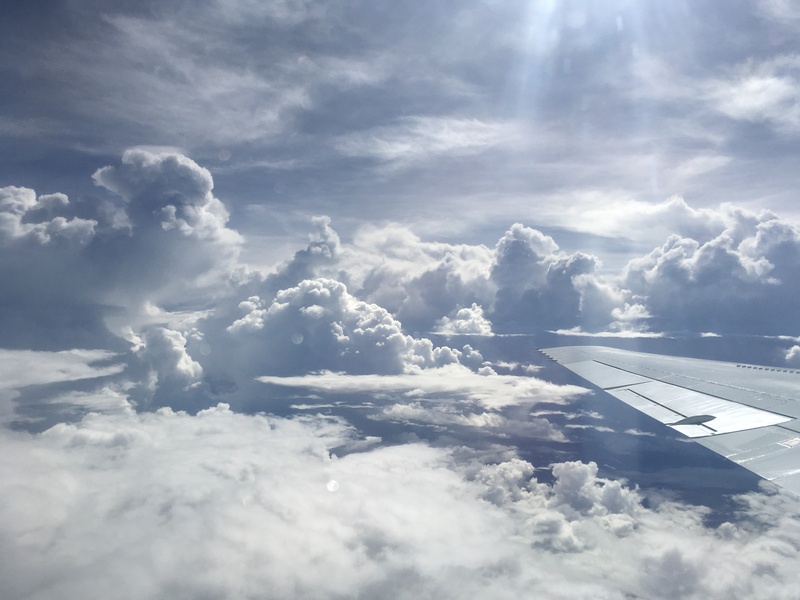 In addition to improving current satellite measurements, data collected here will assist in the development of algorithms for NASA’s first hyper spectral satellite, Plankton, Aerosol, Cloud, ocean Ecosystem (PACE), scheduled to launch in 2022. 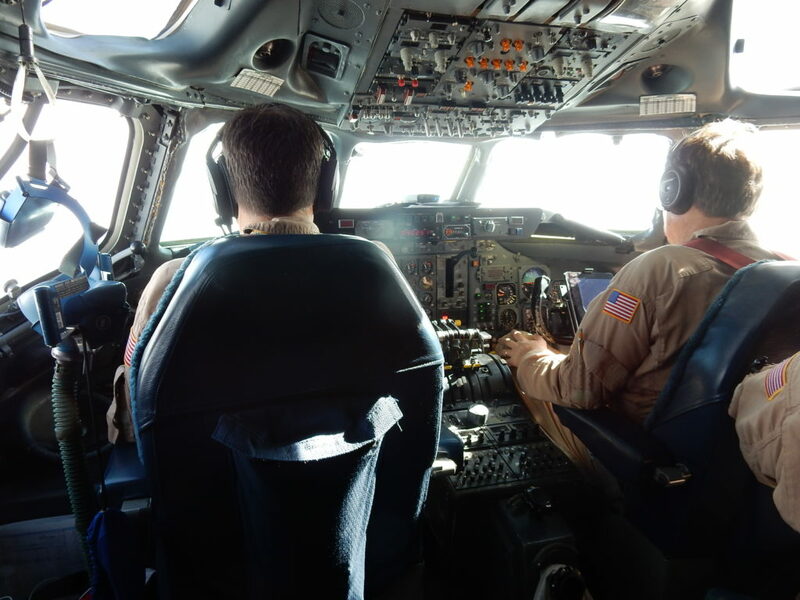 Good communication is key to keeping the 44 scientists and aircrew happy on NASA’s DC-8 aircraft. 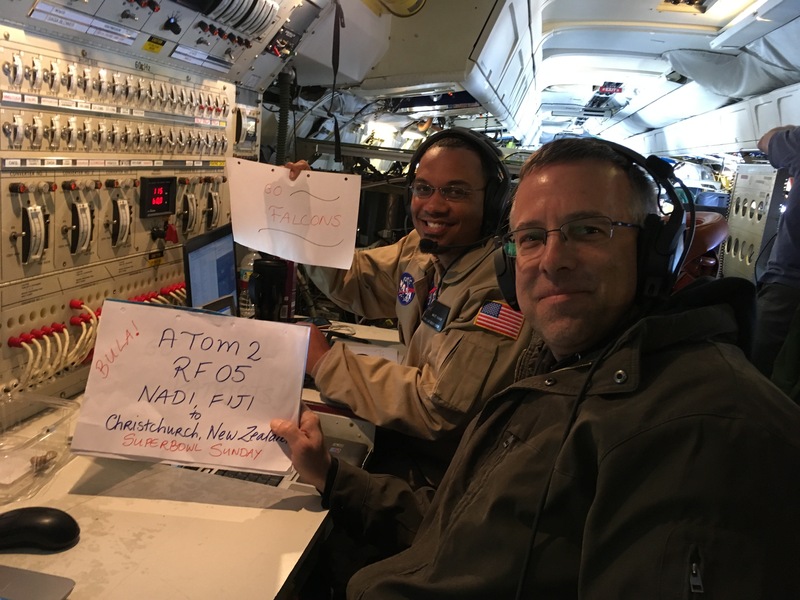 The team is in close quarters for a month-long journey around the world to survey the atmosphere on NASA’s Atmospheric Tomography, or ATom, mission. On the plane they keep in touch with each other via headset and with scientists supporting the mission back home via satellite chat room. But on Feb. 6, on the other side of the International Date Line (Feb. 5 in the United States), as the team made their transit from Nadi, Fiji, to Christchurch, New Zealand, one topic was forbidden—updates on the Super Bowl. Róisín Commane, an atmospheric scientist and Patriots fan at Harvard University in Cambridge, Massachusetts, did a rough poll. Half the people on the plane followed football, and they were nearly evenly split between Patriots and Falcons fans. And all of them wanted to see the game unspoiled. On the ground in Christchurch, Quincy Allison, the logistics coordinator with NASA’s Earth Science Project Office out of Ames Research Center, had already arranged with hotel staff to record the game and play it in a conference room after the ATom team got in that evening. Meanwhile, during their Super Bowl news blackout, the team continued to make measurements to better understand our atmosphere. 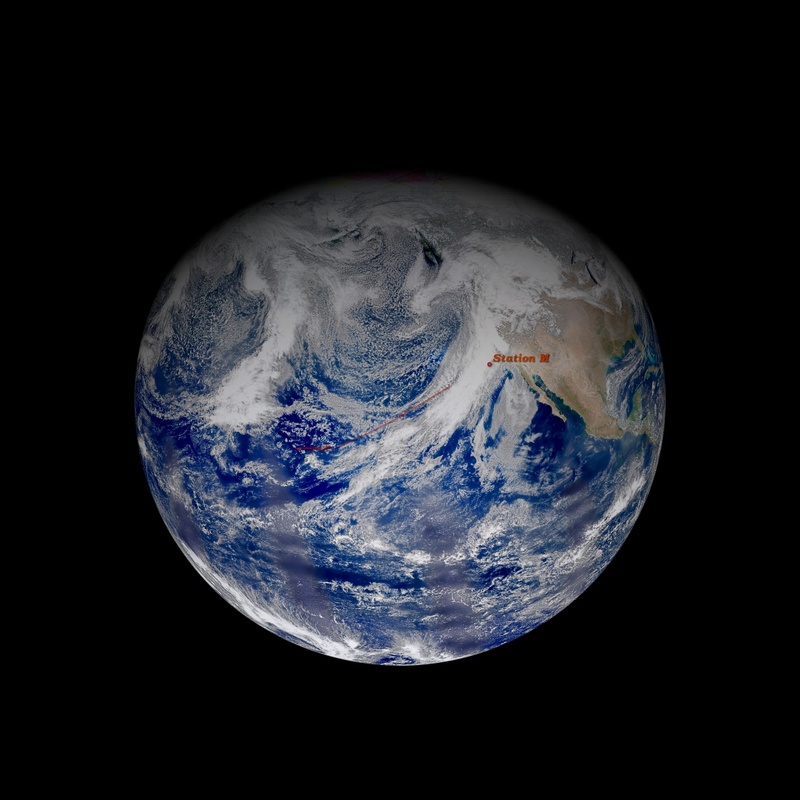 The ATom mission is the most comprehensive survey of the atmosphere to date, with 22 science instruments measuring more than 200 gases and air particles and an itinerary that has it tracing from the North Pole down the Pacific Ocean to Christchurch, then cutting across to the southern tip of Chile, then traveling back up the center of the Atlantic to Greenland and the Arctic. Along the way they’re island hopping between flights, with only a day or two on the ground before moving on. Christchurch, at about halfway, is their longest stopover at three days and also their major resupply point. 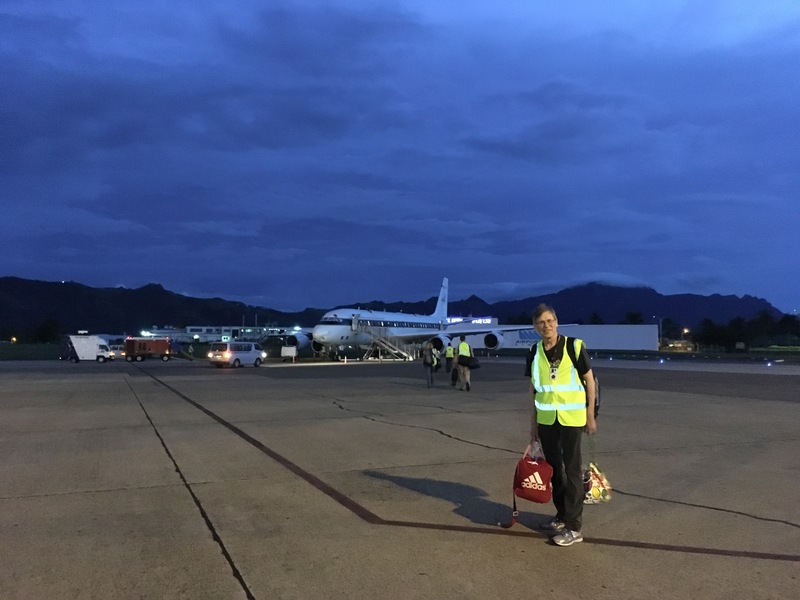 Gathering data to help understand the atmospheric chemistry that drives air quality around the globe is worth the grueling pace for Commane, who likened the atmosphere to a different kind of bowl. Air doesn’t stay in one place, and as it travels, the hundreds of different gases and particles that make up the air encounter new ones generated in different areas, and they chemically react with each other. Some of the pollutants are scrubbed out of the atmosphere this way, disappearing or transformed into new gases. These are the processes that the ATom science team is interested in learning more about, in addition to just knowing how much pollution is really out there over the ocean.